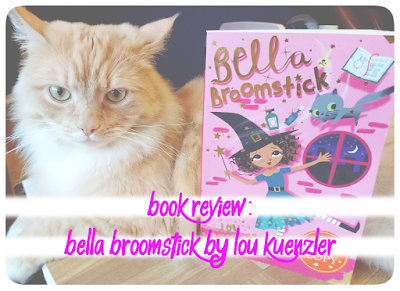 Today I bring you a review on a very charming children's book named “Bella Broomstick”. I was very lucky to be given a copy of the first book from the series written by Lou Kuenzler and can not wait to read this to my little one as she gets a bit older. Brimming with magic and cuteness, the book follows the story of a little girl named Belladonna who just happens to be the “most helpless young witch in the whole of the magic realm.” Unlike her Aunty Hemlock and the rest of her school pupils she just doesn't seem to grow any warts. Bella doesn't seem destined for the Magic world, however she does have something much better in store; living with the Persons. The first book of the series follows the adventures of Bella as she gets up to witchery and wonderment as she follows her promises plus hopes to finally fit in. With a big bright flamingo and kitten 'Rascal' at her side little Bella is the perfect companion for any night time reading. I particularly like how the book is set out. 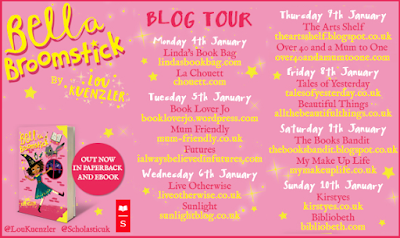 With doodles and more of her thoughts written in as apposed to typed, it really comes to life like a diary of Bella's. This gives the book a special feel and helps the reader to connect deeper with the characters. With larger text and the perfect length this is sure to hold the attention of any little readers. 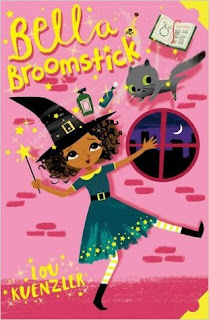 This book would be perfect for any little girls who love magic and amusement. Packed full of funny names, tales and colourful characters, this is sure to cause a smile and encourage reading development. PS: This book was given to me for review purposes. I believe in giving an honest review on items on this blog and money will never sway my opinion. I'm not ashamed to admit that I am definitely still a kid at heart, and my eyes were locked in straight to the typography! I think this is a great learning resource for the kids - it can surely stimulate their creativity.. Great personal and honest review... Keep it up..
Aah, this looks like such a cute book! I don't even have a child yet, however I'm always writing down books I'll buy them one day. This can go on the list! What cute illustrations, I'm sure your daughter will love it! Lovely review. What a great book to give as a gift to young girls too! Inspiration! Sounds like a nice little story! My 2 kids are witch obsessed at the moment so I might check it out! I like that it uses a lot of bright colours. It is perfect for little readers and sheb sounds like a great character for little kids to identify with! Love the typography and colours of this book. Oh how cute! Might make a good gift for some of my cousin's kids! I'm not sure if this book would be any good for my daughter who is 12 it seems to be an awkward age for garnering interest. This sounds like something little baby me would have loved! This book looks nice. Am sure my daughter would love it. I know that i would've loved this book when I was a young girl!